It was reported earlier in the week that the downtrodden Washington Wizards are willing to move every single player on their underperforming roster. That includes star teammates Bradley Beal and John Wall, who seem to be at odds with one another. Now, according to this report from Rick Bonnell of The Charlotte Observer, the Hornets have had discussions with Washington surrounding Beal. 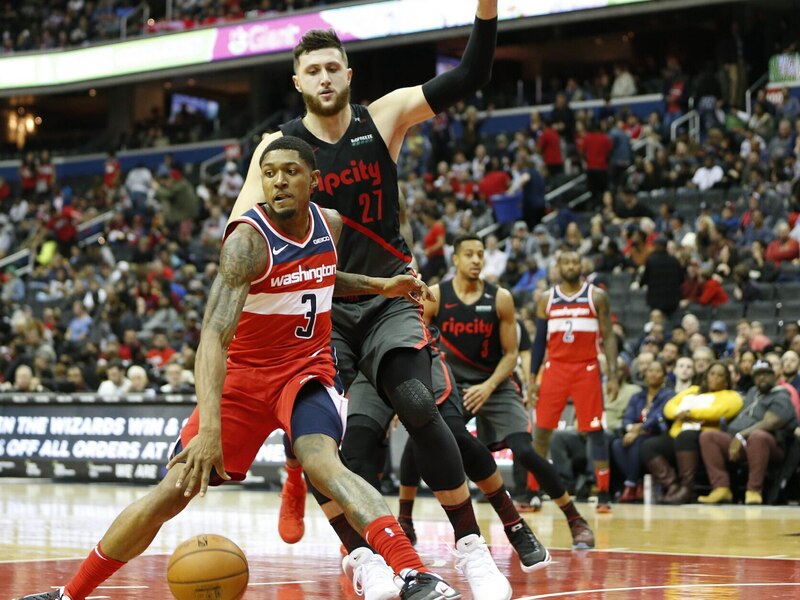 “The Charlotte Hornets have inquired with the Washington Wizards about the possibility of acquiring shooting guard Bradley Beal, an informed source confirmed Tuesday,” Bonnell reported. The source did not indicate who Charlotte had offered in a potential deal. Bonnell also noted that there’s no way to tell how far along talks are right now. Beal, 25, is averaging 21.6 points and shooting at a 46 percent mark from the field this season. He’s seen as one of the best two-way shooting guards in the entire NBA. The issue here is that Beal and Wall don’t seem to be able to coexist with one another. Moving either (or both) of them seems to make a ton of sense. Despite Wall being a bigger name, Beal would likely net more in a trade from D.C. Pure conjecture here, but any move for Beal would likely have to include Charlotte sending 2017 lottery pick Malik Monk, among other assets, to Washington. Draft pick(s) would also likely have to be included. From a Hornets perspective, teaming Beal up with All-Star guard Kemba Walker would create one of the most-dynamic backcourts in the entire Association. Walker himself is averaging an NBA-high 29.6 points per game and just recently dropped 60 in a game.